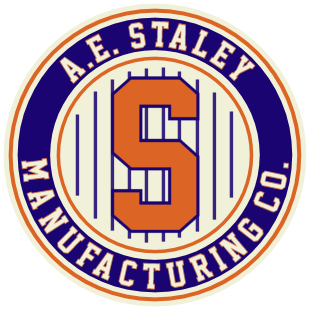 Originally named the Decatur Staleys, the club was established by the A. E. Staley food starch company of Decatur, Illinois in 1919 as a company team. This was the typical start for several early professional football franchises. The company hired George Halas and Edward “Dutch” Sternaman in 1920 to run the team, and turned over full control of the team to them in 1921. However, official team and league records cite Halas as the founder as he took over the team in 1920 when it became a charter member of the NFL.